Dumocom is engaging in elite sport for a leading food manufacturers. 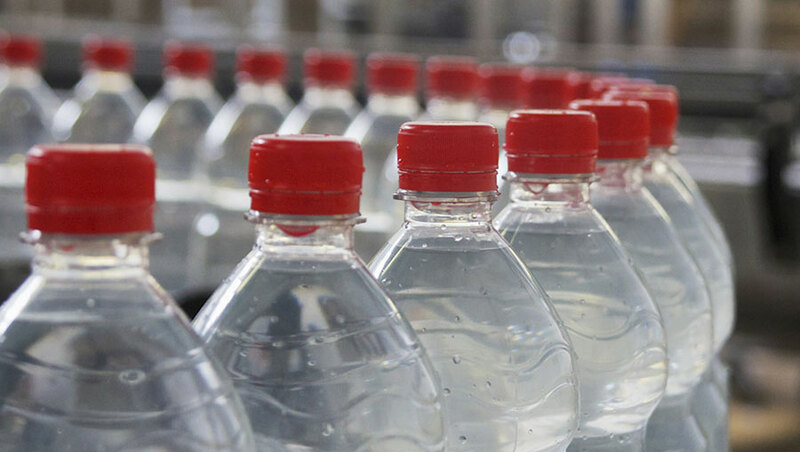 Every year we produce large quantities spread over numerous types of bottles. The turnaround speed is high and the schedule is tight, demanding immense flexibility on our part. What is more, our client also likes a different packing approach. We provide a good stock, speed and an excellent schedule. A new model is launched on the market regularly, and this needs to be operational within 8 weeks. No problem for Dumocom. It is kind of like elite sport. 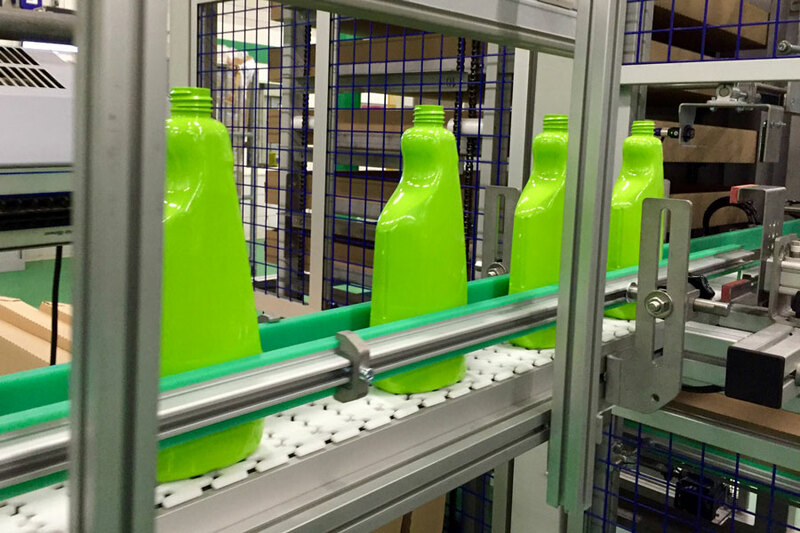 When the original PET bottle supplier was unable to deliver to a manufacturer of all-purpose cleaners quickly enough, they turned to us. Shopping packs for a supermarket had been scheduled for January and they had to include 500,000 all-purpose cleaners. A specialist in fresh artisan dressings and sauces asked us to make an old-fashioned milk churn, but using PET, for a yoghurt sauce. 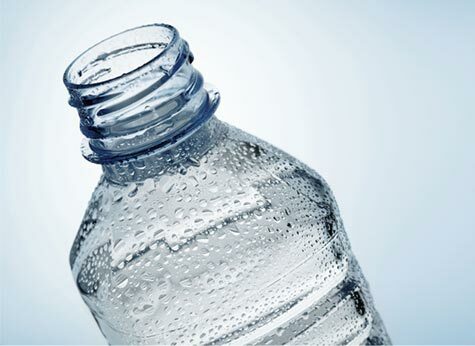 A PET bottle milk churn. A great idea, but was it a realistic one? 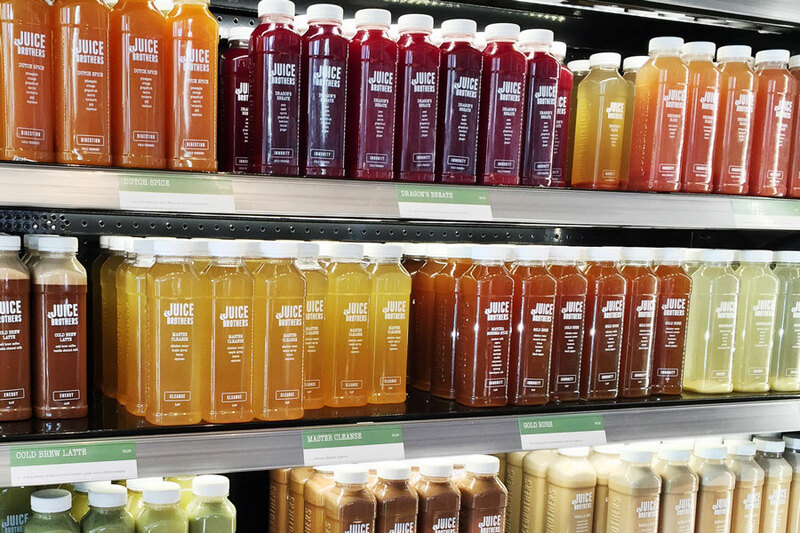 When the owner of a juice brand told us that his shop selling nutritious quality juices would be opening in five weeks, we wasted no time. We immediately set about producing sketches because it had to be a special bottle, different from all other fruit juice bottles. Do you have a challange for us? Do you want to discuss what we can do for you? Give us a call. We will be happy to help. 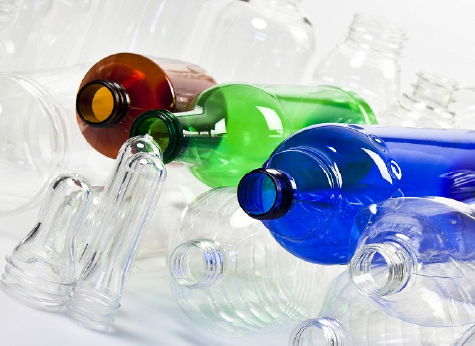 As makers of PET bottles, we are very committed to the issue of waste. We try to contribute to solutions in several ways, such as by supporting Ocean Cleanup and Waste battle. 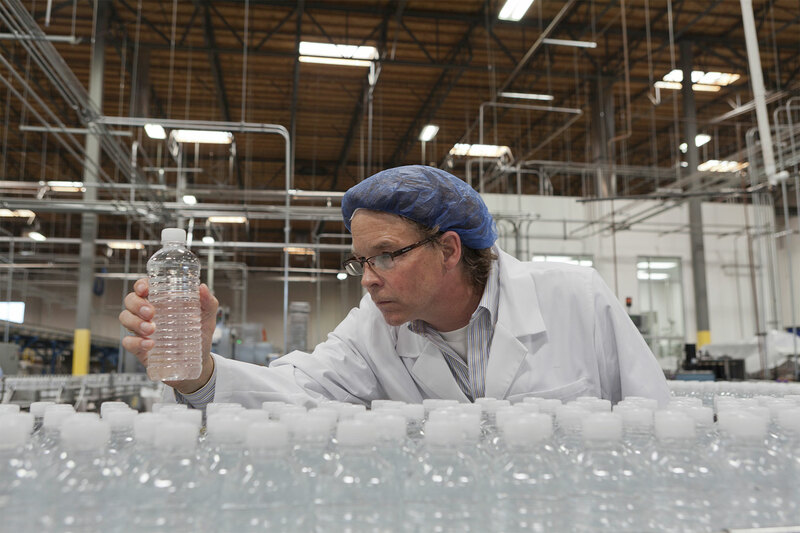 Dumocom has BRC/IOP quality certification and a Food Safety Certificate, AA grade. We manufacture in compliance with all legal standards and rules.